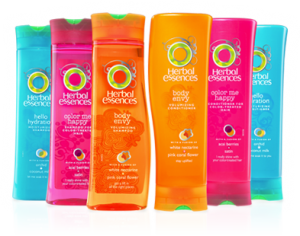 FREE Herbal Essence Shampoo or Conditioner! Starts at NOON est! UPDATE: GONE in less than 2 minutes!! At noon today and tomorrow, you can go here to request a coupon for a free full size Herbal Essence shampoo or conditioner! There are only 6,000 available each day, so be quick! https://i1.wp.com/savvywifehappylife.com/wp-content/uploads/2011/01/herbal-essence.png?fit=300%2C236&ssl=1 236 300 Brandi https://savvywifehappylife.com/wp-content/uploads/2016/09/SavvyWifeHappyLife-logo-2.png Brandi2011-01-22 11:14:302011-01-22 12:02:57FREE Herbal Essence Shampoo or Conditioner! Starts at NOON est! Safeway: Cheap Finds! Dollar General: $5/$25 Purchase Coupon!